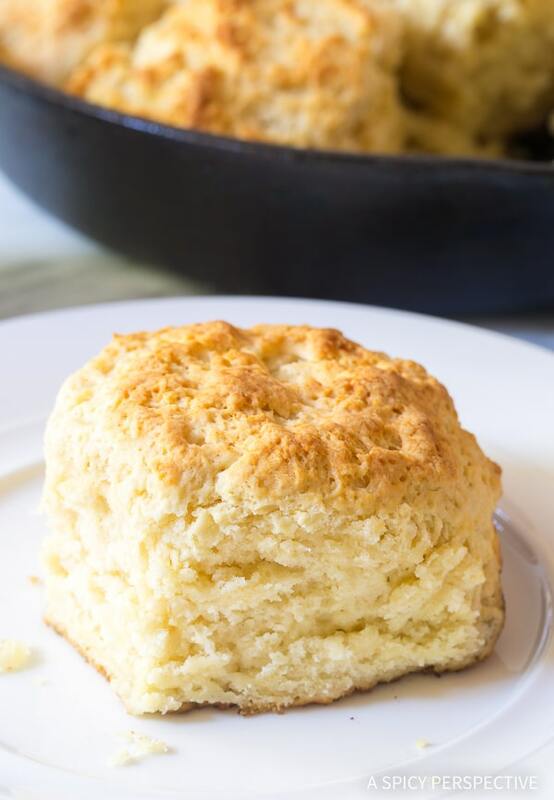 Fluffy Southern Cat Head Biscuits Recipe – The biggest, softest, most amazing biscuit recipe with buttery golden tops! Flaky on the outside, pillowy inside! There are biscuits, and then there are biscuits. The jaw-dropping, mind-blowing, knee-buckling, eyes-roll-back-in-your-head kind of biscuits. Although there’s nothing wrong with popping open the canned variety on occasion, nothing compares to a buttery scratch-made biscuit straight out of the oven. Biscuits are one of the first things I learned to bake as a newlywed. My first few attempts were more like savory hockey pucks than fluffy bread. After much trial and error, I learned that light airy biscuits come from gentle, yet speedy, hands. Biscuits need to be handled with delicacy. Yet they also need to be made in a hurry so the dough is cold when it goes in the oven. 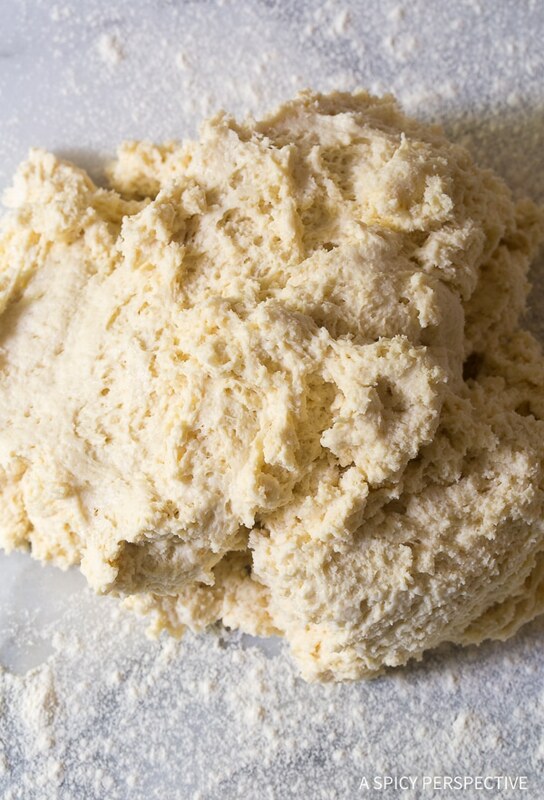 Using cold ingredients like buttermilk, butter, and refrigerated shortening creates a cold dough. When the cold dough is placed in the oven, it quickly creates an outer crust while the dough is still cool on the inside. 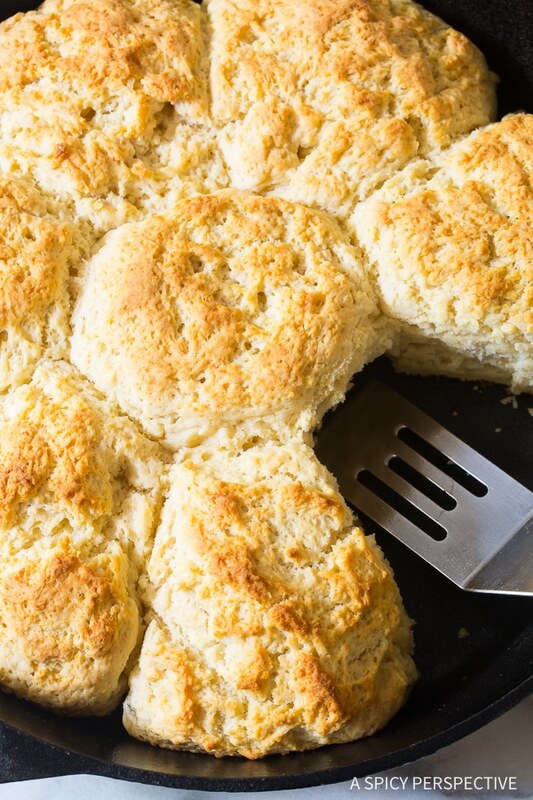 The outer crust causes the biscuits to grow up, instead of flattening out, once the insides start to bake. Cold dough, that hasn’t been over-worked, is the secret to successful biscuit making! Today’s Fluffy Southern Cat Head Biscuits recipe is my personal favorite biscuit variety. I learned to make them over a decade ago when we first moved to North Carolina. What Are Cat Head Biscuits? In the south, cat head biscuits are all about size… They are roughly the same dimensions as a cat’s head. Weird name and association, but ridiculously enormous biscuit perfection! I mean, who wants a scrawny biscuit? Not me. Baking these Fluffy Southern Cat Head Biscuits in a deep skillet serves two purposes. 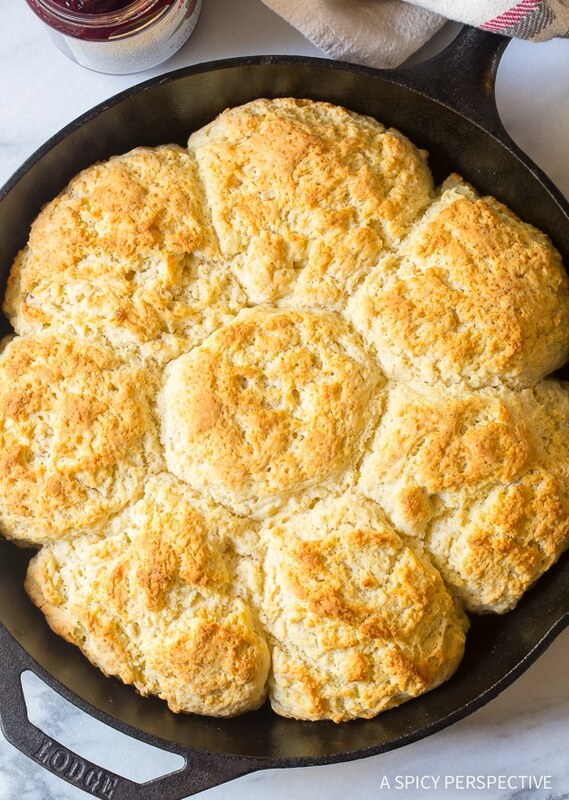 First, the sides of the skillet offer support so that the biscuits rise to ethereal heights. 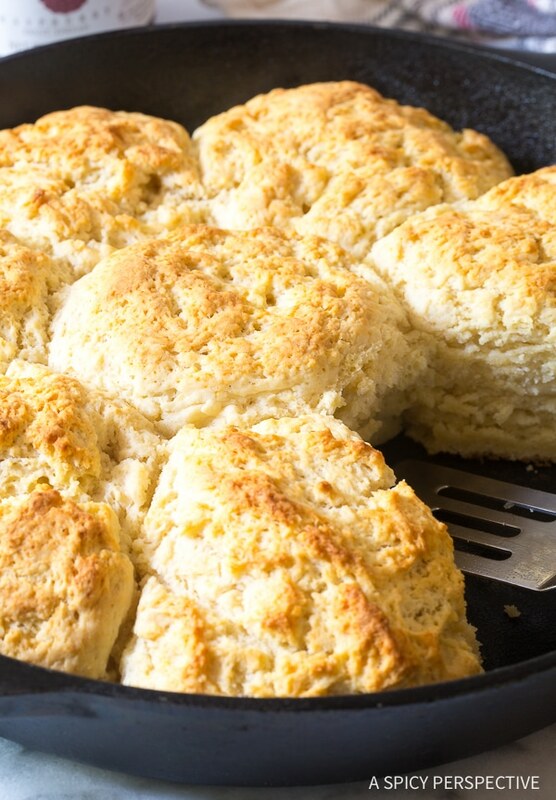 Second, the biscuits edges on the outside of the pan turn crispy, while the center edges are soft and feathery. That way you get a little crunch and a whole lot of tender goodness. What if I Want to Make a Double Batch? You can make a double batch in a 9 x 13 or 10 x 15-inch baking dish and refrigerate them overnight if needed. Just make sure to cover them well with plastic while in the refrigerator! Our Fluffy Southern Cat Head Biscuits have the most delicate texture on the inside, yet are crispy and flaky on the outside. The light airy flavor of butter and wheat creates a perfect platform of all sorts of toppings. Basically, they are what all biscuits aspire to be. Fluffy Southern Cat Head Biscuits aren’t the kind of biscuit one might make while on a diet. In fact, although we now provide nutritional facts, I suggest you not look at them. Really, why torture yourself when you know you are going to eat that biscuit anyway? Fluffy Southern Cat Head Biscuits are the kind of biscuit you make for holiday gatherings, for elaborately-stuffed Saturday morning breakfast sandwiches, and for “splurge day” biscuits and gravy. In other words, they are for the celebratory days when calories don’t count! The holidays are quickly approaching. Why not give these big beauties a try? You might decide they need to be on your Thanksgiving table or at Christmas morning brunch this year! See The Recipe Card and Video Below For How To Make Fluffy Southern Cat Head Biscuits. Fluffy Southern Cat Head Biscuits Recipe - The biggest, softest, most amazing biscuit recipe with buttery golden tops! Flaky on the outside, pillowy inside! Preheat the oven to 450 degrees F. Grease a 12-inch deep dish cast iron skillet and set aside. Sift the flour, then scoop and level. 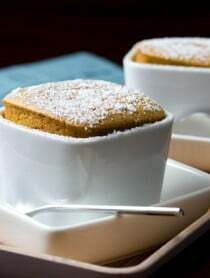 Place the flour, sugar, baking powder, baking soda, and salt in a food processor. Pulse to mix. Next, add the cold shortening and 1/4 cup cold butter. Pulse again until the fat is mixed into the flour creating a pebble texture. Continue pulsing as you add in the cold buttermilk. Once the dough is thoroughly mixed, stop pulsing. The dough should look wet, but even. Dump the dough out onto a floured work surface. Press it flat with your hands until it is smooth, in an even 2-inch thick disk. Use a drinking glass, or 3-inch cutter, to cut out 8 biscuits. If needed, cut out 7, then gather the dough and cut out the last biscuit. Place the biscuits in the skillet. Then brush the tops with the melted butter, and place in the oven immediately. 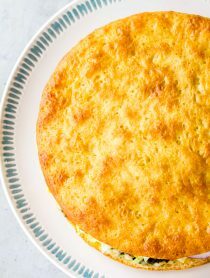 Bake in the center of the oven until the tops are golden and the biscuits have risen at least 1 inch above the top of the skillet. Around 30-35 minutes. Make sure to move the oven racks, if need, to allow room for growth. 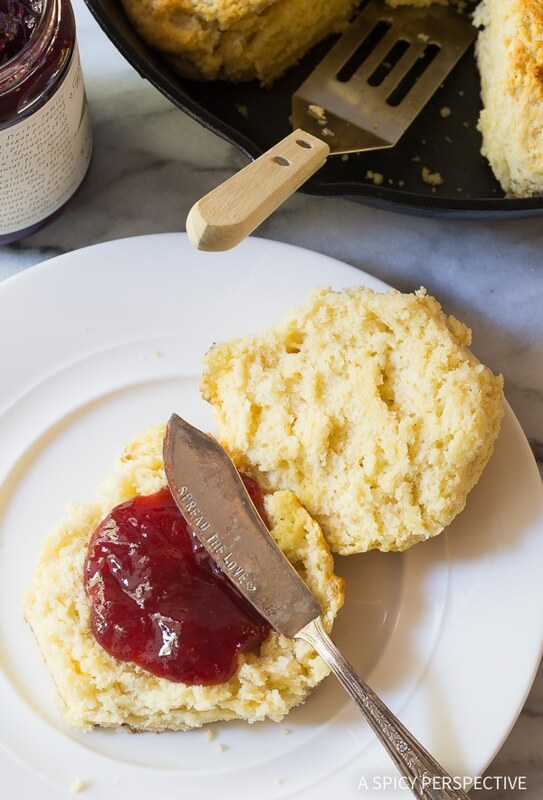 Use a spatula or knife to separate the biscuits before lifting out of the pan. Biscuits have the best texture when: A. the dough is cold as it goes in the oven, B. hasn't been over mixed, and C. the flour is well-sifted. 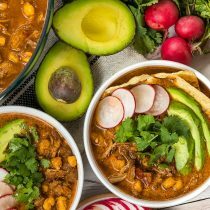 Use cold ingredients and work fast! 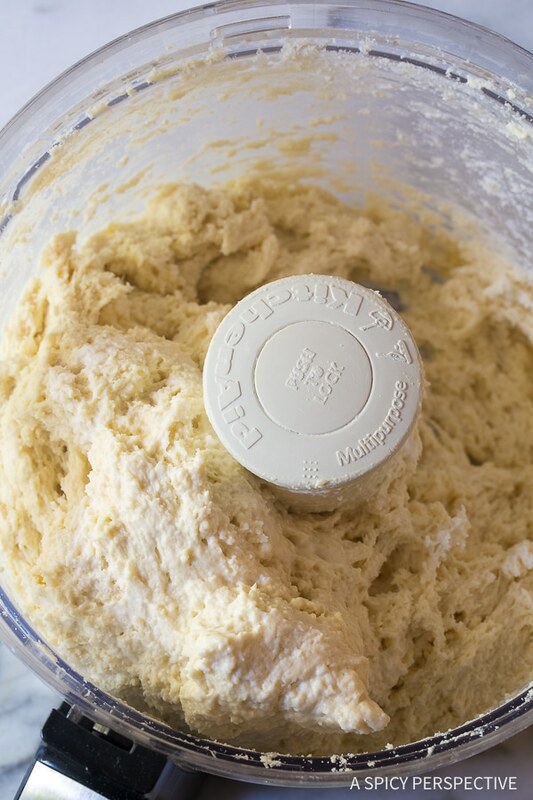 Do not over-mix the dough in the food processor or when cutting. If possible, cut all the biscuits out without re-gathering the dough. 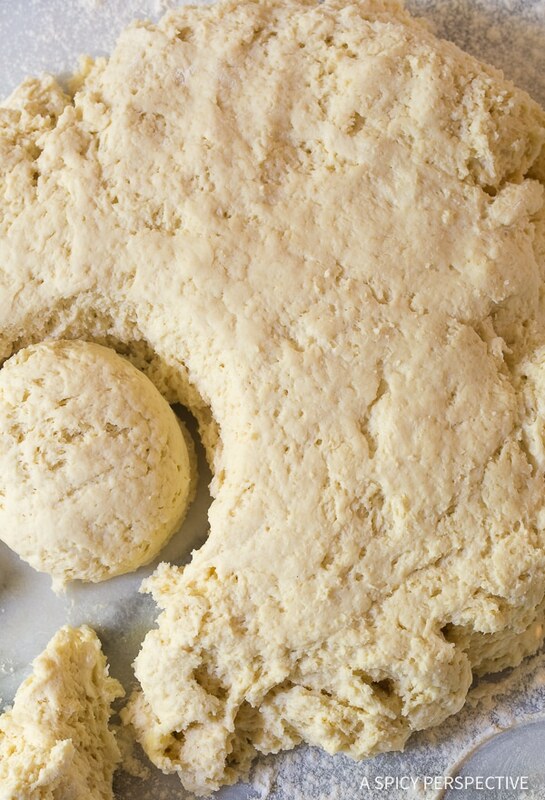 To ensure the dough is cold, you can prep the biscuits then place in the refrigerator to chill before baking. I’ve been looking for the perfect biscuit recipe. And I think I found it! These biscuits sound like a dream! Yum! I love the fact that they’re as big as a cat’s head !!! 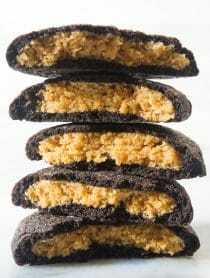 Pingback: Cathead Biscuits - Bake it until you cake it! 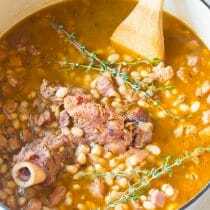 Great recipe made it today 12/30/2017…used a mixer as I didn’t pull out the food ptocessor and used all butter and no butter shortening…I received great reviews!!!! I was just wondering if anyone had used all butter! Yeah! That’s how I will be doing it! Hi Sommer, My first time making these– Thank you for the great recipe! 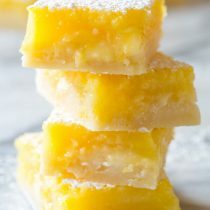 These are easy and soooo delicious! 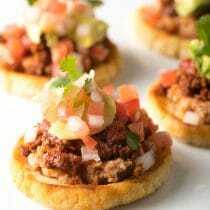 I want to make these for a large family dinner. Can I mix and cut them out early in the day or the day before and keep in fridge. any ideas for making a large batch at once? They sound delicious!!! That’s a scone not a biscuit. 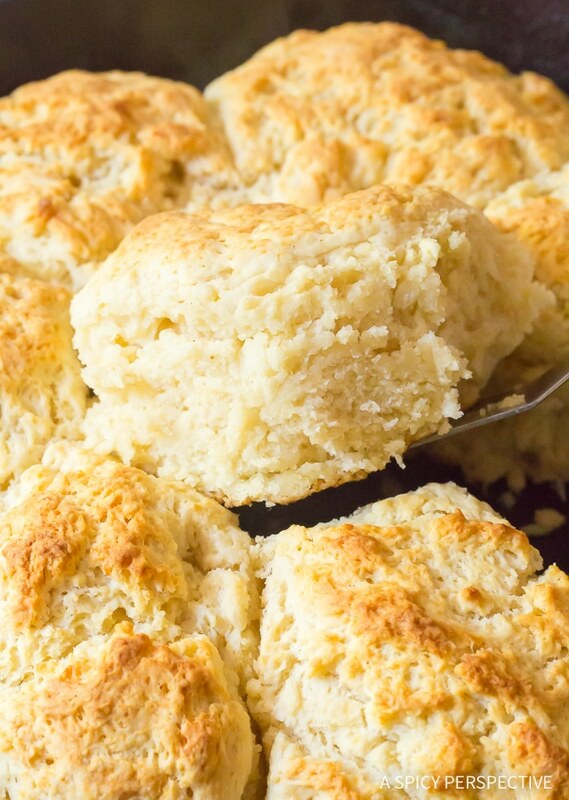 Technically, southern biscuits are ancestors of scones brought over by Scotch immigrants. 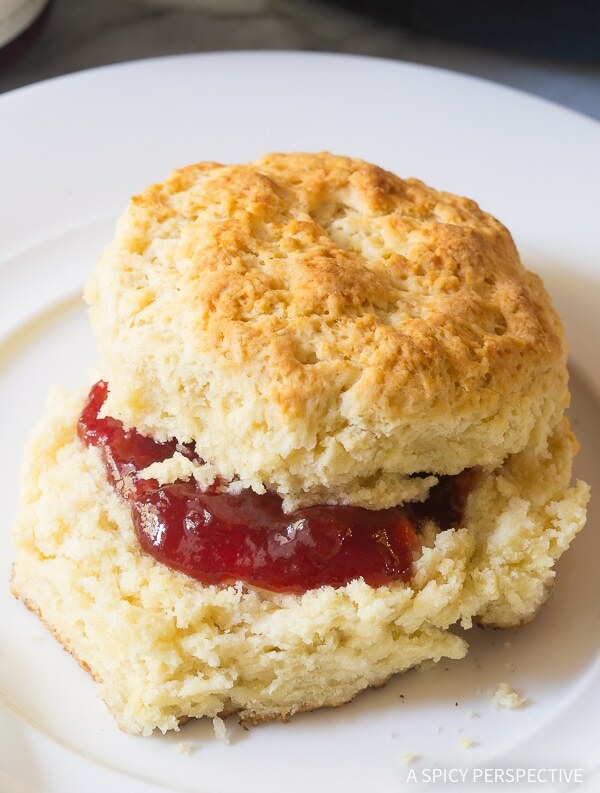 Therefore all American biscuit varieties are a modern form of scones. 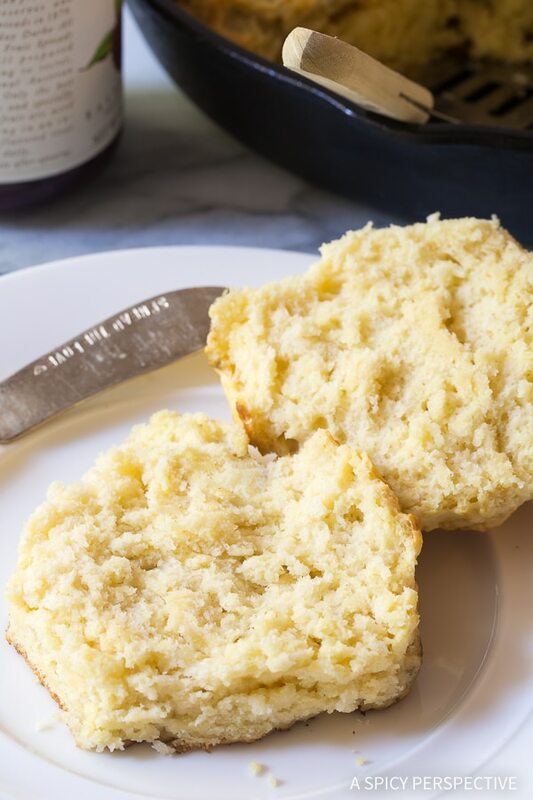 Adding a little sugar to a biscuit recipe does not automatically make it a scone, just like taking the sugar out of a scone recipe doesn’t make it a southern biscuit. I just made these biscuits. My food processor isn’t large enough so I used a stand mixer with bread hook. Worked perfectly. Easiest biscuits I’ve ever made. Of course the best also. Thanks for a great recipe. I’m making your fried steak fingers and country gravy to go with the biscuits tonight. I’m not planning on calorie counting today. LOL! Wow David, you are fast! Thanks for reporting back. I hope you like the steak fingers just as much! 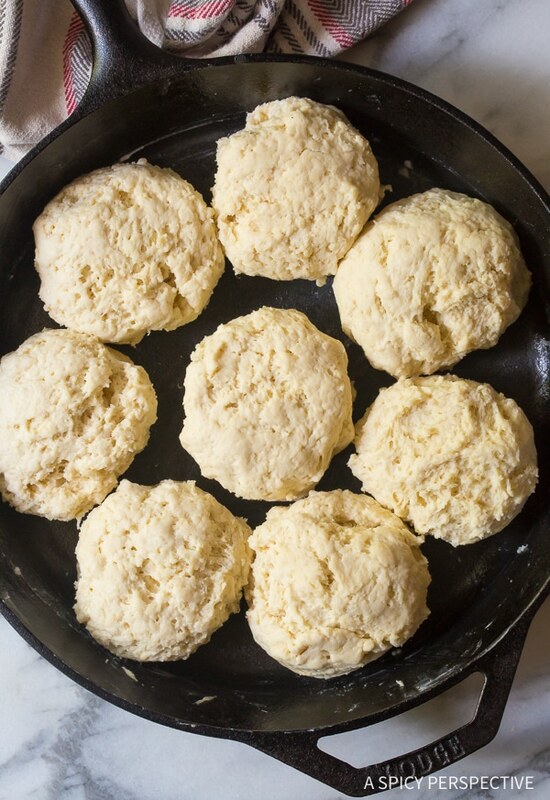 Do these biscuits have to be made in a cast iron skillet or can some other type of skillet be used? Great explanation on the art of making great biscuits. I shared to my readers on my face book page thanks for the added details that will help them this holiday season and perhaps during the cold morning ahead. I see a sausage patty and an egg in mine or may just some homemade apple butter.